Ford has revealed its upcoming Mach 1 electric crossover will be capable of 370 miles of range when it arrives next year. The brand's first all-new battery-electric vehicle, a 'performance utility vehicle' that it says is "inspired" by the Mustang, is set to debut later this year. It will have a WLTP-certified range of 600km between charges, or 370 miles. The Mach 1, named in reference to its Mustang-derived styling features, has been confirmed as a globally engineered model, with UK deliveries starting in 2020. Few other details of the car have been released at this stage. Ford is also working on an electric crossover, codenamed CX430, which will be built on the C2 platform used for the new Focus. That machine has been in Ford’s product plan for several years. The CX430 will be additional to the Kuga and, since it is based on the front-wheel-drive C2 platform, it is expected to be conventional hatchback-like, with a slightly raised driving position. Ford has identified ‘white paper’ models like the CX430 to replace saloons and hatches in its US line-up. 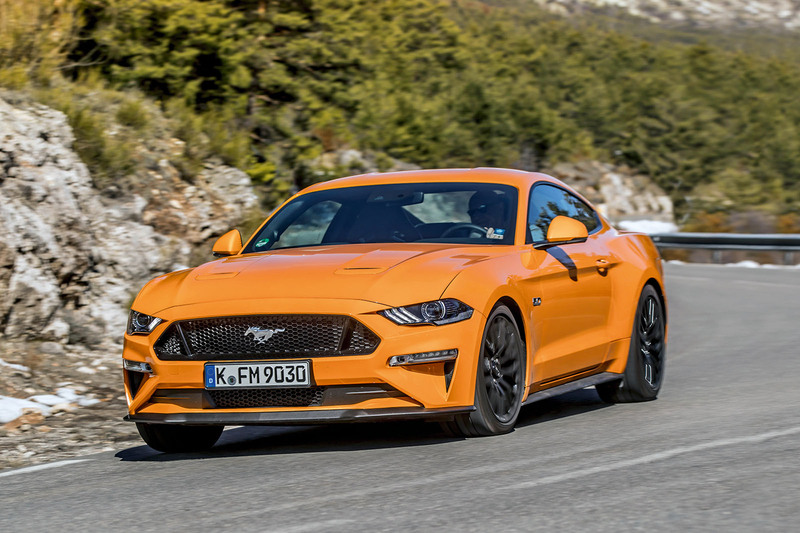 Further crossovers with Mustang design cues and front-drive chassis are a strong possibility because they combine “the best attributes of cars and utilities, such as high ride height, space and versatility”. If the vehicles are sized appropriately, European sales are likely. Ford's push into EVs followed news that Ford is dropping the Fiesta (below), Focus, Fusion and Taurus from its North American line-up. The end of the Fiesta in the US had been rumoured for some time, because fuel prices have dropped and the economy has recovered, allowing US buyers to return to their preferred larger vehicles. Decisions on the replacements for the Fusion and Taurus have been pending for a couple of years too. Ford’s new CEO, Jim Hackett, has acted decisively and made the announcement at a financial conference in the US, momentously ending Ford’s 110-year presence in the US passenger saloon market. “We are committed to taking the appropriate actions to drive profitable growth and maximise the returns of our business over the long term,” said Hackett. Analysts said Ford had previously signalled that the mix of car models in its range was forecast to drop to just 10% in the US, leaving 90% of its sales as SUVs and trucks. Ford US rivals Chrysler and Dodge have taken similar action under Fiat ownership, killing the mid-sized 200 and Dart saloons and instead investing in Jeep SUVs and Ram pick-ups. Between them, Chrysler and Dodge sell just two saloons – full-sized rear-wheel-drive platform twins, the 300 and Charger. Ford will retain only the Mustang and Focus Active passenger cars on sale after 2020, although its bread-and-butter SUVs and trucks such as the Explorer and F-Series pick-up continue. The end of the Fusion and Taurus can also be seen in the context of a drive to simplify and reduce Ford’s global platforms to just five. Currently, it has 11. When Alan Mulally took over as CEO in 2006, it was 17. In the future, Ford strategy will revolve around an emerging-markets small-car platform (Ka), the C2 (Focus), a mid-sized SUV platform (Explorer), an electric car platform (Mach 1) and full-sized truck platform (F-Series). The loss of production volume of the Fusion raises a question over the future of the Mondeo in Europe, because they share the same platform. In the short to medium term, Ford Europe is understood to have mapped the future of the Mondeo to the mid-2020s, although the picture after that remains fluid. “The Ford Mondeo remains a core part of our product line-up in Europe. We have upgrades coming for Mondeo later this year and Mondeo continues to deliver on its promise of great driving dynamics, leading technologies and competitive pricing,” Ford said in a statement. Details of the autumn upgrade are understood to include a new 2.0-litre diesel engine, codenamed Panther, which will be EU6d-compliant for the new WLTP driving cycle, with its real-world emissions and fuel economy testing, plus a new interior and tweaks to the exterior styling. The interior changes are tipped to include a new dashboard moulding incorporating the Fiesta/Focus-style infotainment system with a high-set tablet-style touchscreen. However, to keep the Mondeo in production to the mid-2020s, Ford Europe will have to fund developments to keep up with legislation without the volume of the US Fusion to offset costs. Analysts believe Ford Europe is prepared to do this for the next five to seven years, helped by a reasonable degree of financial stability, since it has been reliably profitable for the past two years and has had a strong start to 2018. But the crunch will come around 2020-2022 when Ford Europe will have to decide whether to go it alone with its own Mondeo replacement. At last year's Geneva motor show, Ford Europe boss Steve Armstrong told Autocar it was too early to consider the future of the Mondeo, although he conceded that the large saloon sector continues to shrink. “We are constantly updating the car, from new transmission and engine options to a hybrid version and the Vignale trim. The interest is strong and we are a way off having to consider replacing it,” he said. A lifeline for any new Mondeo is the Focus’s new C2 architecture, which is understood to be sufficiently flexible to allow multiple track widths, wheelbases and firewall heights. This allows a large variety of vehicles to be spun off a single component set, like Volkswagen’s adaptable front-wheel-drive MQB set-up. High-cost items such as the electrical system and powertrains can be carried over from the Focus to the Mondeo. But justifying the unique development and tooling costs for a new body and interior and chassis tuning and certification costs will be a bigger challenge, as sales will be small. A planning volume of around 60,000 a year could be expected. Ford’s component costs won’t be able to take advantage of the huge volume that rivals such as the VW Group can. 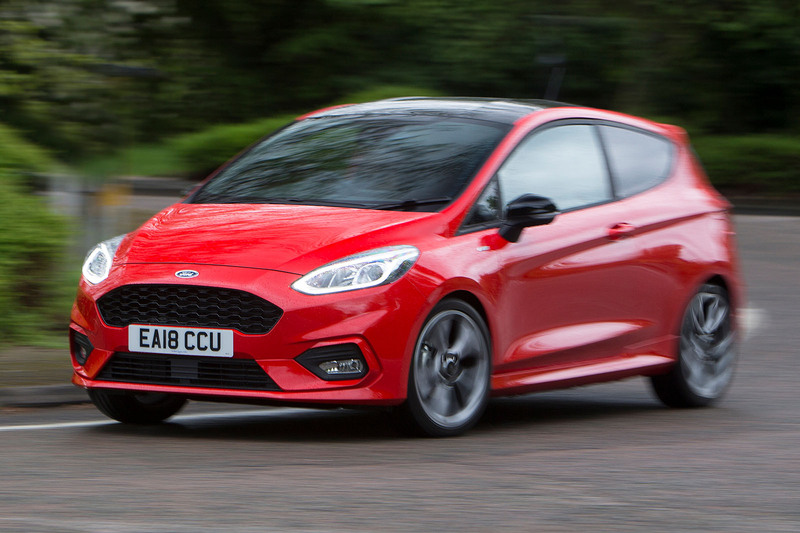 Ford’s sales volume in Europe of all hatchback models – the Ka, Fiesta, Focus and Mondeo – is forecast to be 520,000 units this year, plus a further 36,000 saloons. By the time Ford needs to make key investment decisions about the Mondeo, Ford’s hatchback volume is forecast to fall by another 40,000 units. When the first Mondeo was launched in 1992, it contributed 350,000 units alone but was already on the slide to 250,000 for the Mk2 Mondeo in 2000. VW can plan on a volume of all brand variants of the MQB A/B Polo/Golf/Passat of around five million. At the key decision-making moment in 2021, Ford’s SUV sales are forecast by IHS Markit to have risen to nearly 400,000 units. That is key production volume for overall planning purposes but, in the decade from 2011 to 2021, Ford Europe’s ratio of hatchback to SUV sales will have moved from 10:1 in favour of hatchbacks to just about an equal split of 1:1, reflecting the huge increase in popularity of SUVs. Given the continuing slide in sales of volume-brand large saloons and hatchbacks, and the rise in popularity of SUVs, it is hard to see market demand for the Mondeo providing sufficient volume to keep the nameplate alive. One possible conclusion is that Ford Europe ideally needs to find a partner to share volume on future hatchback developments to maintain a presence with all nameplates in the European market. While Ford is betting on its upcoming electric car, it’s also bringing back a famous name, the Bronco, to reinvigorate its SUV line-up. 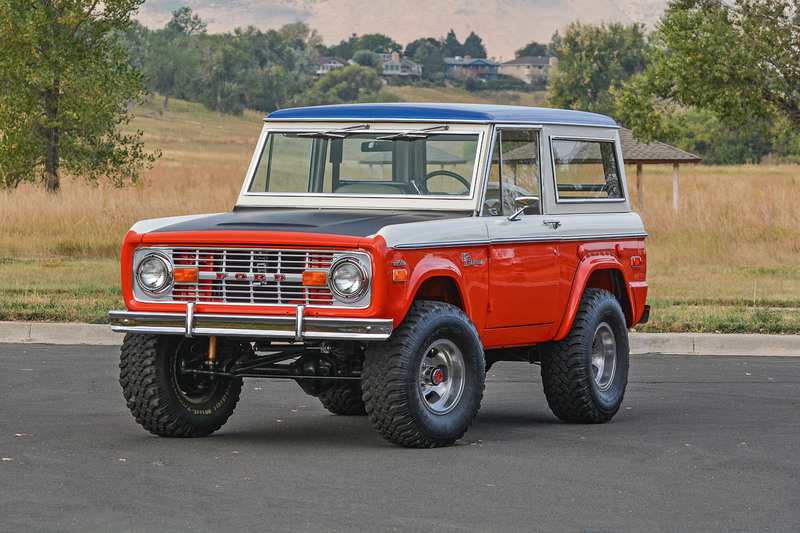 The original Bronco arrived in 1966 and become an iconic model for Ford but was withdrawn in 1996. The last we saw of the Bronco was a concept shown in 2004. But last year, Ford said the name would return on a global SUV in 2020. It will take on the Jeep Compass and be more rugged than Ford’s current mainstream SUVs as the firm bids to reclaim the off-road market. This will be interesting. To come from no proper ground-up EV or even a deccent hybrid to a fully developed EV is quite a jump. If it ends up as 2021 then they're be pretty much the last 'big boy' to release a true EV. I'm not sure if it's any good and it's not a global Hybird, but the Mondeo Hybird is in the top 15 of American plug-in cars. The hybrid version is okay but a bit pointless really. It’s not quick, has limited range, can be noisy in standard trim with the CVT box and the economy is no better than 180 diesel. To much feet dragging by a lot of brands when they know the EV era is just round the corner. How hard can it be to design a new (SUV is the most practical) chassis with a big indent underneath for a fairly big battery pack. Stick a sensible 180bhp electric motor on the rear, then stick a pretty normal car body with usual basics on top, keeping weight to a minimum. Keep it simple, keep it affordable, allocate weight to battery not electric boot openers or retracting door handle motors so range is minimum 300 miles. Sell loads. Given what Ford have been churning out recently, with the exception of the Mustang and GT, the chances of this car looking at all interesting must be minimal. Ford's return of the Bronco is bad news for Land Rover, but it serves them right for taking a stupid amount of time to release a rather simple 4x4! So they are going to lose sales to Jeep AND Ford, now. Land Rover seem to only want to chase premium sales these days, which given their abject failure with volume brands like Austin and Rover makes a degree of sense. The problem with playing the volume game is that it’s hard to turn a buck. However the Defender could succeed at this, level f only they’d take a chance! Whoever wrote about the fate of the Mondeo seems to have forgotten about China. The next-gen Mondeo will be paired with a car for China, and the sums will stack up!